In our accommodation there is a large canteen with bar and kitchen, where breakfast awaits you every morning. However you can also prepare your own dinner, stove, microwave and large fridge are at your disposal. Plates, cups, cutlery and pots are sufficiently available. 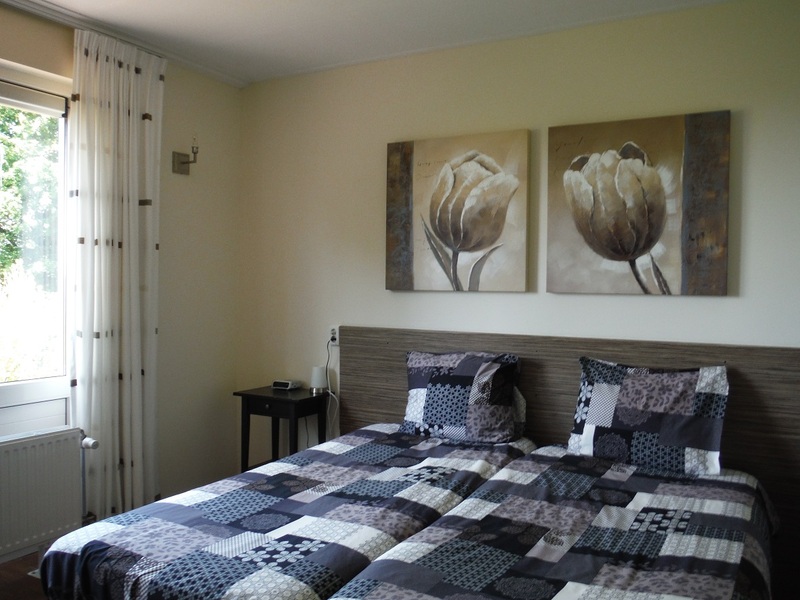 All bedrooms are individually lockable. 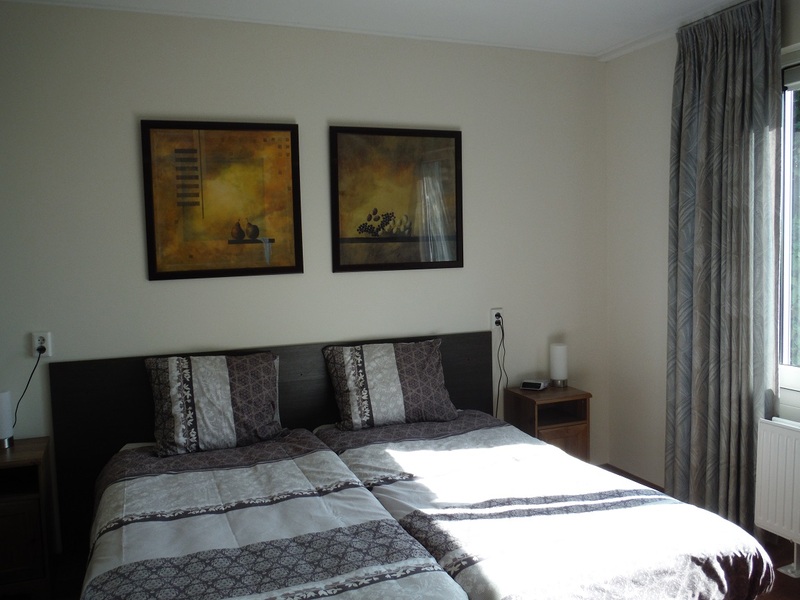 The rooms are spacious and have fresh colors. They are equipped with a private shower and toilet. In addition, our guests have a private terrace and garden, where you can enjoy the polders or to play soccer. On the ground floor there is room 1. This double room has a adjacent room with shower and toilet. From this room you have a wonderful view of the garden. Obviously, this room has a TV and a seating area where you can make a cup of coffee or tea. This double room is also located on the ground floor and and has a private shower and toilet in the hallway. Of course there is a TV, seating area where you can make a cup of coffee or tea. Also from this room you have a lovely view of the garden. Room 3 is located on the first floor and is accessible through a wide staircase. 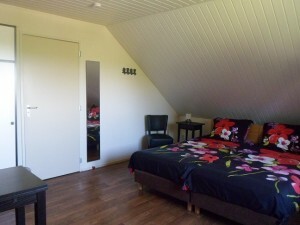 This is a double room aswell, with the possibly for a 3rd bed. Here, you will also find glorious box springs. A private shower and toilet are located close to the room in the hallway. From the window there is a great view of the wide polder landscape. But you can also watch TV or make a cup of coffee or tea. The big room, also called the family room, is located on the first floor. When entering this room you will be directly affected by the cozy atmosphere in this room with cheerful, bright colors. There is room for 6 people to enjoy the wonderful box springs. There is also space for additional air mattresses, in case there are more people. Nice together for friends or family weekend. The shower and toilet are located directly at the room in the hallway. Of course there is a television and a seating area. 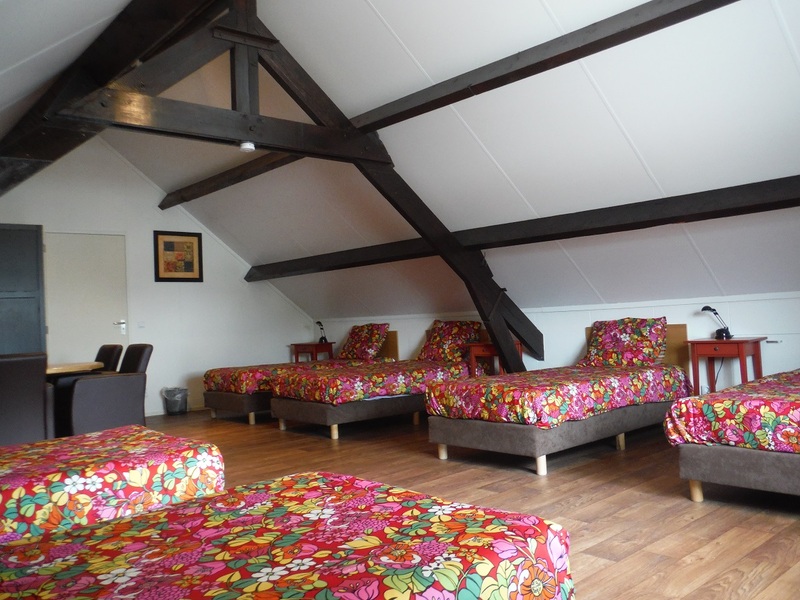 From this room you have a beautiful view of the activities on the farm.